Four days have passed with me virtually doing nothing. Or at least nothing to finish the garments I need in August. At least I started almost everything by now. The first robe I started a while back (blue cotton satin), but my sewing machine suddenly decided I would take no more silver yarn… and the embroidery on the sleeves are not finished. The lining also does not Work the Way I want it to, and so I wont finish it for the Epic Empires. The Hood is the same one as in the Pictures taken on Carnil, but it got a new collar,a shorter sash, a pelt collar an adjustments on the hood. Not much to do here anymore. 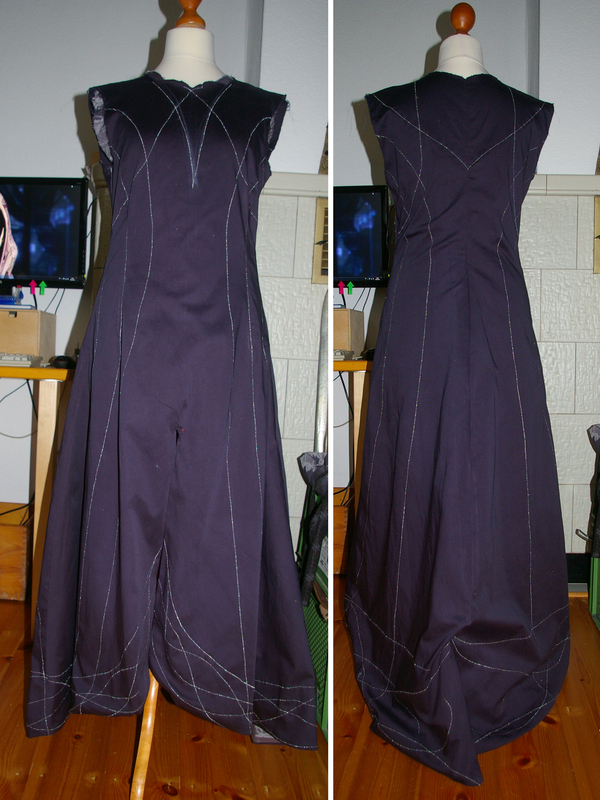 Its different with the short battlerobe I stared… the main part is ready but the lining is still missing. The rest is unfinished as well. The green sash needs a lining and the golden lace is going to be replaced with something light gray. The colour of the robe is much darker in reality… it looks kind of weird in the photo. The fabric is also less shiny. 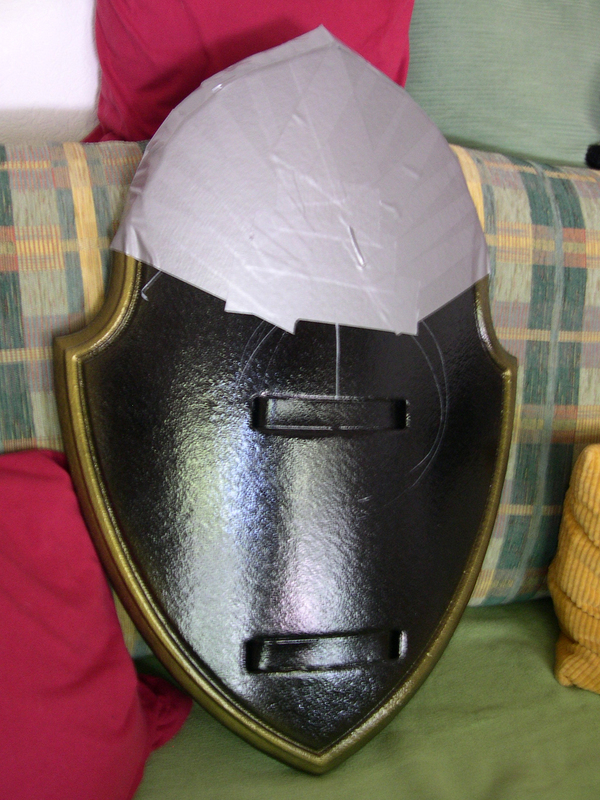 My new larp shield has now its final shape (and some tape) and I have started making the cover. Its going to be some work. 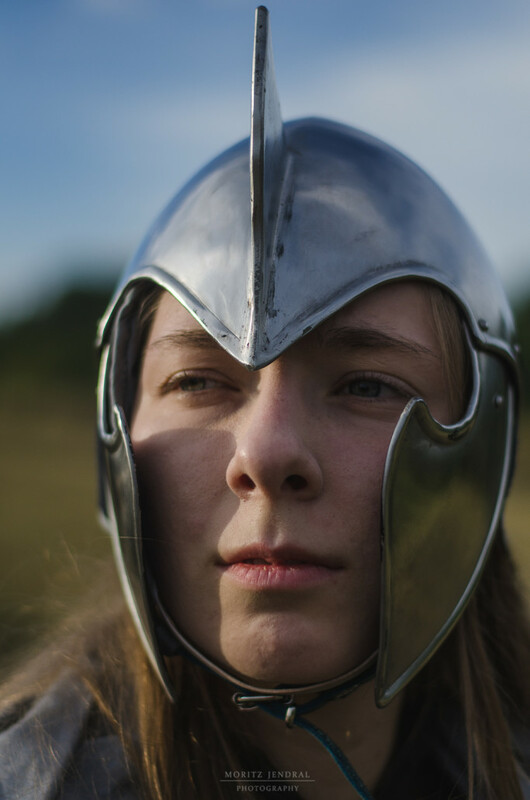 Posted on July 15, 2013 November 2, 2015 by EldalagrenPosted in Elrian Tirithien, Larp, SewingTagged Anylon, Battledress, character, elb, Elbenkleid, Elbenrüstung, Elbenstern, Eldalagren, elf, elfen, elfin, Elrian Tirithien, elven, elvish, embroidery, Epic Empires, Kleid, Larp, Mantel, nan elmoth, Noldor, Robe, Schildmaid, shield, Stickerei, tunic, tunika.